The “Olden Holden Bike Tour” is a great way to get some exercise, see the sights, and learn a little bit of Holden Beach History. So, grab your two wheeler, turn on your imagination, and take a winding route back in time. 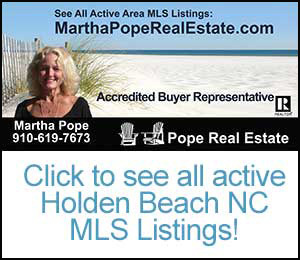 The Town of Holden Beach has completed the Olden Holden Bike Tour! The tour consists of three different bike routes, totaling approximately 20 miles, each with its own special beauty and history. Along the routes, you will find numbered signs, which signify special points of interest. Click here to view a copy of the brochure for the bike tour. Holden Beach is quickly becoming a “Bike Friendly” town. We have put together a pleasant historical tour for you to enjoy by bike. We are affectionately calling this the “Olden” Holden Bike Tour. the map in pink, blue and orange. of interest and bicycle access to the beach. The blue route, in the middle of the island, is a 5-mile scenic loop with views of the waterway and marshlands. Here you can enjoy glimpses of water birds, deer and the occasional dolphin. The orange route, on the west end of the island, is a 10-mile loop dotted with parks, butterfly garden, fishing areas, and bicycle access to the beach. Numbered signs correspond to special points of of interest on the map. ELIZABETH, BENDIGO, AND RANGER SHIPWRECKS: Three Civil War Blockade runners sank off the coast. Detailed information is printed on three separate stone tablets along Ocean Boulevard East. THE OLD HOTEL: was the first building on the beach besides the fishery. Built in 1926 by Mr. John Holden, Jr. for visitors, it had a dining room where his wife did the cooking. afire. A German submarine was caught near Wilmington. There was even a story that a German U-Boat came into Shallotte Point and bought gas! OLD FERRY: In the 1930s it was only large enough to carry one car and was pulled across the waterway by hand on a cable. The operator caught the cable with a notched wooden pole called a “jack stick” and pulled the ferry across. In 1946, the second ferry held two cars and was powered by an old car engine. The steel cable that held it on course had to be lowered for each boat that came. Long lines of cars backed up in the early 1950s’ weekends. The cable had to be raised by hand and was extremely heavy.